Sign up for another round of our delicious egg and milk shares. We are approaching the end of the current share, so it’s time to sign up for our spring/summer subscription. By prepaying for 13 weeks, you receive a discount on your egg and milk purchases. Why get your eggs and milk from Farmers & Artisans? 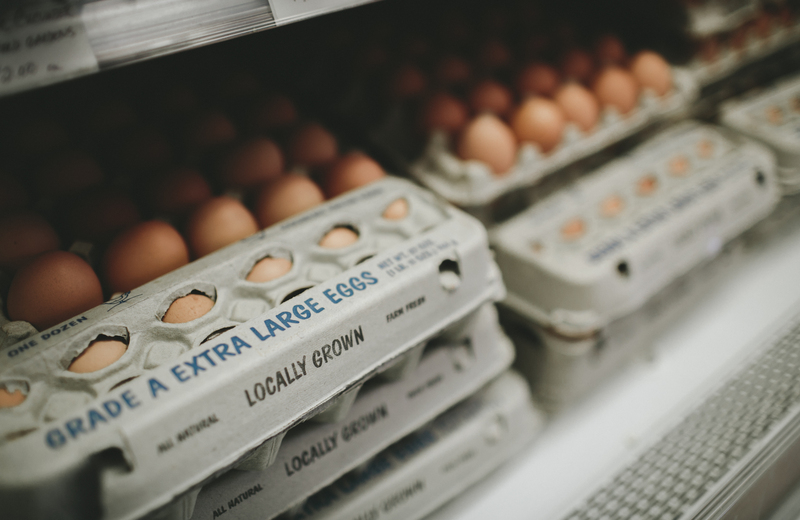 Our farm fresh brown eggs, sold by the dozen or half dozen, come from pastured hens that have not been treated with either hormones or antibiotics. Their feed is non-GMO. The milk, in gallons and half gallons, and quarts, is from a herd of Jersey cows that are pastured and not treated with any hormones or antibiotics. The whole milk is low-temp pasteurized and non-homogenized, preserving nutrition that is lost with ultra-pasteurization and homogenization. Note: The low-fat milk will continue to be homogenized. 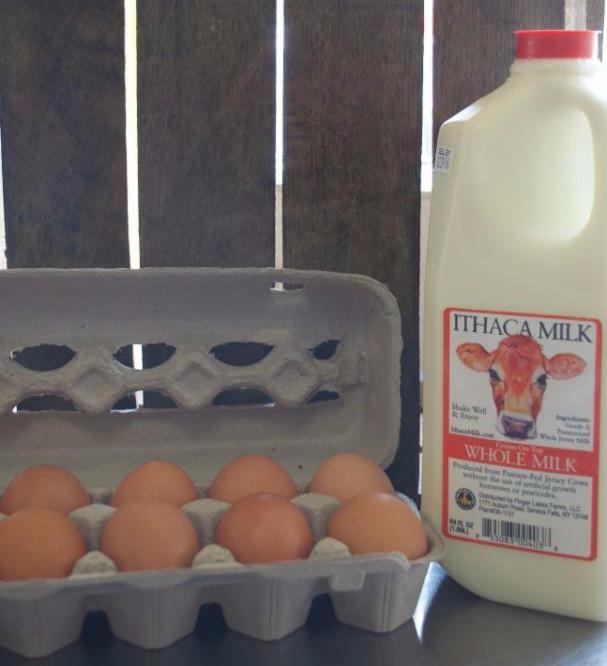 Terms & Conditions: Milk is delivered on Wednesdays, therefore the milk and egg share pick up runs Wednesday to Tuesday of the following week. Please be advised that if you miss your pick up for your weekly milk share, you will forfeit your milk share for that week. Also please note that you must bring in your own egg carton weekly to fill. Please do not leave your used egg carton here. We legally cannot reuse old cartons. If you need a new carton, the price is $.35. Click here to print the order form and drop it off with your payment at the store, or you can now sign up and pay for your egg and milk share online! Click here to sign up online for the Egg Share. Click here to sign up online for the Milk Share.